Qualification -: B.Sc./B.A./B.Com. from a recognized University/Institution and Demonstrable knowledge of MS Word, MS Excel, MS PowerPoint./ Recognised Diploma in Nursing at least ‘B’ Grade. Selection Process -: Selection will be based on Screening of documents, typing test OR Interview. 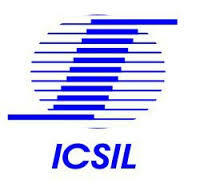 How to Apply -: Interested candidates may apply Online through website www.icsil.in or offline send to the Mr. O.P. Yadav (Front Desk Officer), Intelligent Communication Systems India Limited (ICSIL), Administrative Building, 1st Floor, Above Post Office, Okhla Industrial Estate, Phase-III New Delhi-110020.